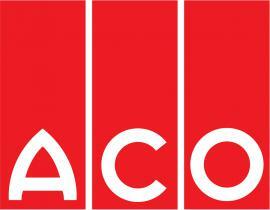 ACO is a world leader in the design, development and implementation of sustainable surface water management systems. For over 50 years ACO has pioneered unique solutions that satisfy the need for high performance, environmental excellence, optimal return on investment and long operational life across a vast range of applications. 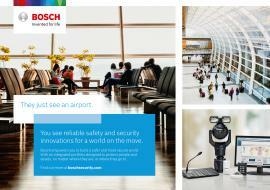 ACO’s product ranges have been used extensively throughout the modern airport environment overcoming significant design challenges and to satisfy demanding aesthetic requirements. Investment in leading technology, design expertise and rigorous quality management ensures absolute consistency and levels of assurance. 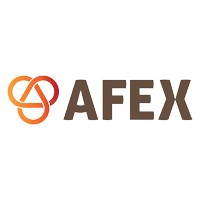 Products include high performance stormwater control and award-winning surface water management systems, and hygienic and corrosion resistant building drainage solutions. This portfolio ensures applications such as airside areas such as airport pavements, runways and maintenance areas, and landside environments such as the terminal building, car parks, rail & bus interchanges and road links can all be catered for. We are a diamond drilling and saw cutting company that specialises in Airfield/Airport works, we work both internally on Airport terminals and externally on the Airfield Infrastructure. Our services involves diamond drilling and sawing concrete in order to facilitate services which are require to keep the Airport working to its full capacity usually in sensitive locations. With over 25 years of experience within the aviation/construction industry and ideally located at the home of aviation Farnborough Hampshire we are able to service around the UK. Concrete cutting, sawing & core drilling, Agl installation, cable chases, fuel resistant joint sealing hot & cold, robotic selective demolition. Maxicrete concrete repairs & minor civils work. 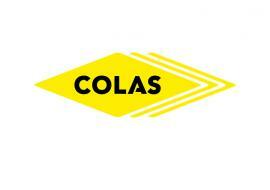 COLAS is a leader in the construction and maintenance of aviation infrastructure around the world. With a network spanning over 50 countries and all five continents, Colas operates in every facet of airport infrastructure construction and maintenance. We have specialist capabilities in Airfield Ground Lighting (AGL), rapid runway, taxiway and apron resurfacing, grooving, flexible and rigid pavement construction. Colas’ upstream activities include the production and recycling of construction materials (aggregates, ready mixed concrete, emulsions and binders, asphalt mixes, bitumen) while the use of company owned mobile asphalt plants are available to be sited across the globe, providing guaranteed materials production rates. Additionally, Colas offer bespoke pavement designs for all environments and design loadings. Our Campus for Science and Technology (CST) in Paris, further ensures Colas uses the most up to date technology and materials, aiding with the design of new products and techniques. This is backed by a research and development policy focused on anticipating customer demands in terms of quality, comfort, safety, certainty of delivery, environmental protection and cost. Our network of experts enable cross disciplinary exchange, supporting our clients to achieve their goals.